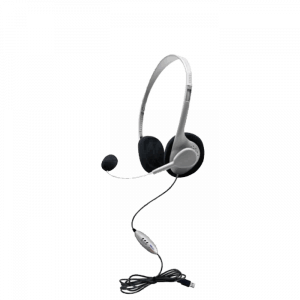 HamiltonBuhl Headsets - Headsets Direct, Inc. 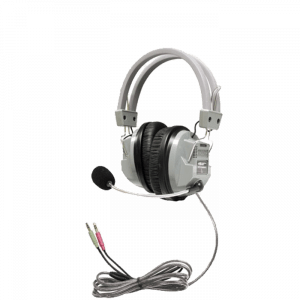 When selecting listening devices for your computer lab or classroom, there are some things you will need to discuss with instructors to make sure you get the correct headsets. You need to learn what plug-in types will be needed for compatibility, if a microphone is necessary, and the loudness of the environment. 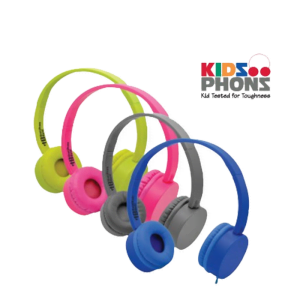 With HamiltonBuhl headsets, all major plug types are available, making compatibility easy once you know the plug type of the device into which you are plugging. 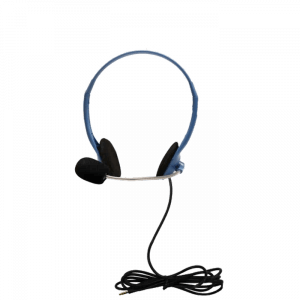 If microphones are needed, the mic will either extend from a boom or be located in-line, allowing students to talk and interact with the software or application. 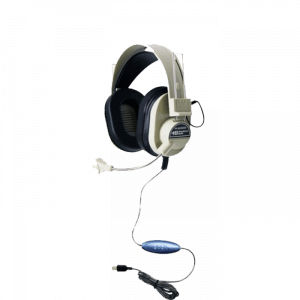 Lastly, your environment will dictate if you need an on-ear or over-ear wearing style of headsets. 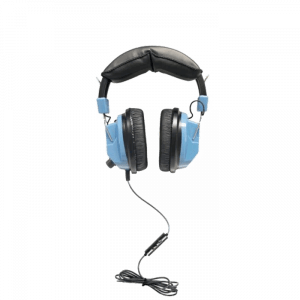 As you research headphones and headsets, you will notice the main difference between them is that headsets have speakers and a microphone, and headphones only include speakers for listening. One is not better than the other, it’s about your application. 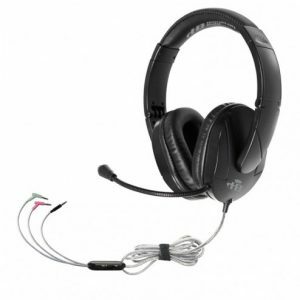 With HamiltonBuhl headsets, you will have a choice of boom mics or in-line microphones. Microphones on the end of a mic boom are easily adjusted for placement close to your mouth, making for more accurate speech recognition. 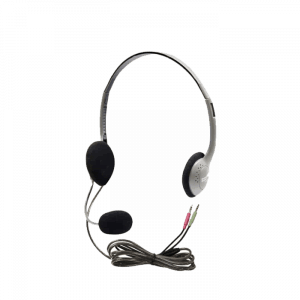 With in-line microphones, they tend to make the overall price of the headset less expensive, needing fewer materials to manufacture the unit. 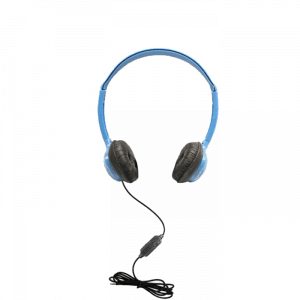 As for the quality of speech recognition, an in-line mic will pick up a little less of your student’s voice and a little more background noise. This is because the mic doesn’t know what to focus on and picks up a little of everything. As your students turn their heads, it also changes the direction of their voice from the mic, making it less accurate.